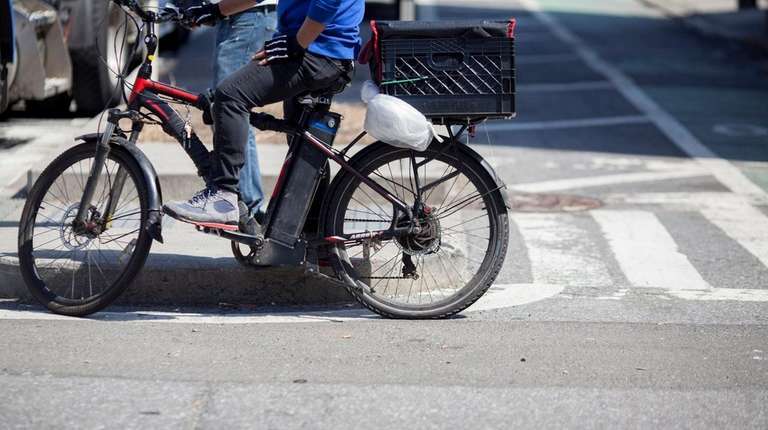 The NYPD plans to start fining the employers of riders caught operating electronic bicycles, the illegal mode of transportation used by some food deliverers to rush orders to customers in New York City, Mayor Bill de Blasio said Thursday. Starting Jan. 1, penalties won’t be imposed only on operators of the e-bikes — the NYPD’s current practice, which imposes a fine of up to $500 and the risk of bike confiscation — with the aim of protecting pedestrians. Fines against the drivers will remain on the books under de Blasio’s plan, but there will be additional employer civil summonses, which the NYPD officer will send by mail after catching an e-bike rider, said Chief of Patrol Terence A. Monahan: $100 for a first offense and $200 for each additional offense, he said. Other municipalities allow and regulate the e-bikes, but New York City is going in the opposite direction. Possessing e-bikes, which employ a motor and ease pedaling, is lawful in New York State, but operating them within city limits is illegal. 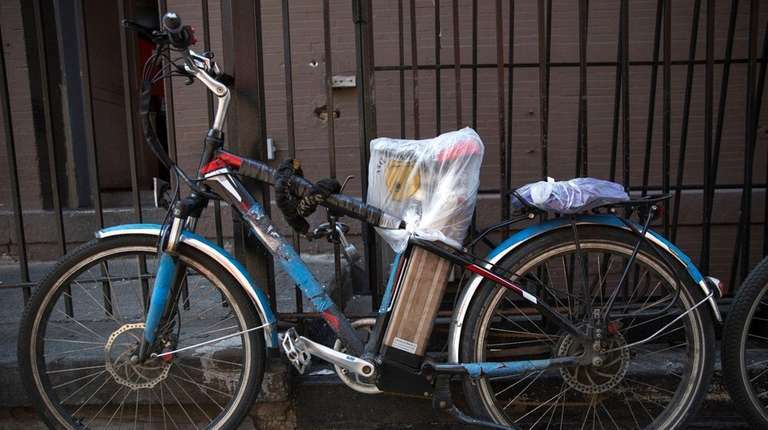 According to de Blasio’s office, the NYPD has so far in 2017 seized 923 e-bikes, up from the 341 during the same time period in 2016, and issued almost 1,800 summonses to e-bike operators. Putting public safety first is “the bottom line,” he added. Also Thursday, de Blasio called a plan to allow tests by General Motors of driverless cars on city streets “a mistake” and a “danger.” The plan was given the greenlight by Gov. Andrew M. Cuomo with what the city said was virtually no consultation with municipal officials. Cuomo’s office has said it gave the city enough notice. “We’re going to work vigorously to stop it,” de Blasio said.